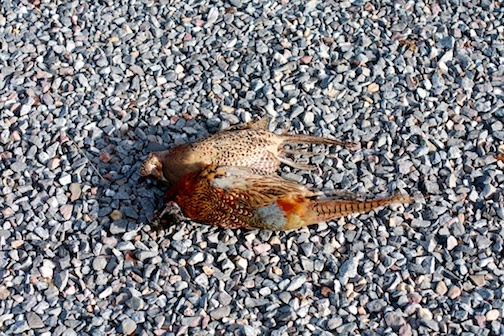 Every year should start with pheasant! 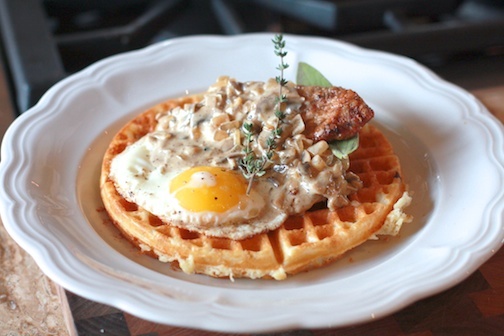 and waffles…and herbs…and…all manner of delicious things, really! That’s the day I officially became a gun owner (having never in my life , thought that I would own a gun!) 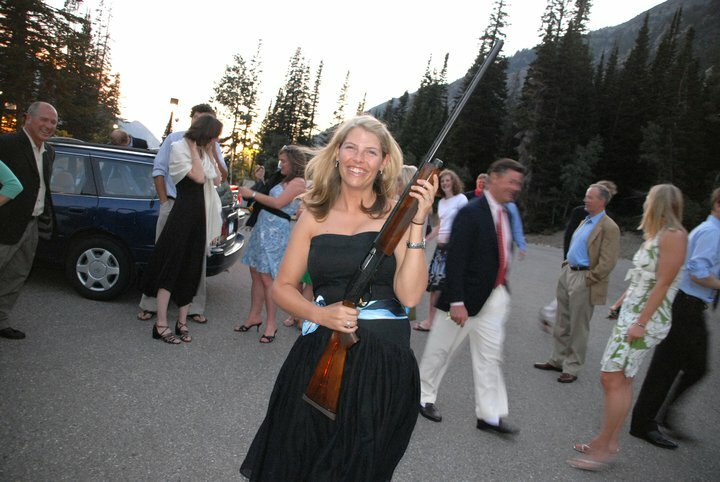 The next day I got married…and soon(ish) I put that gun to use and became a (bird) hunter. Let’s not get carried away here…I’m no Ted Nugent…however, I do believe that you should be honest about your relationship with food and be willing to (at least once) participate directly in acquiring meat for you table that normally comes cleanly packaged with nary a hint of it’s life before Styrofoam, refrigeration and shipping. 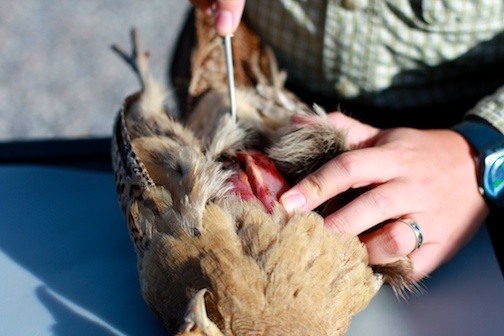 While we are being honest…my husband was the hunter who shot the birds for this meal…and our dog is the one who joyfully retrieved them for us…I just cooked them up and took a lot of photos! We visited family over the Thanksgiving break and spent some time near Heber, UT…the weather was brisk but certainly not cold! 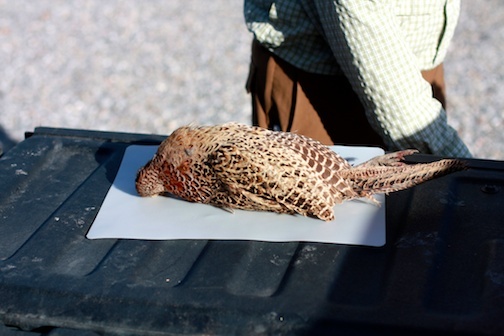 Woody skipped out on a morning of thanksgiving prep and took Cleo (our Braque Français (French Pointer) bird-dog) out to the plains on the south-west side of Utah Valley to hunt for pheasant. He returned smiling with a couple of birds. Cleo rested in the sun-warmed truck while Woody took to ‘breasting’ the birds. 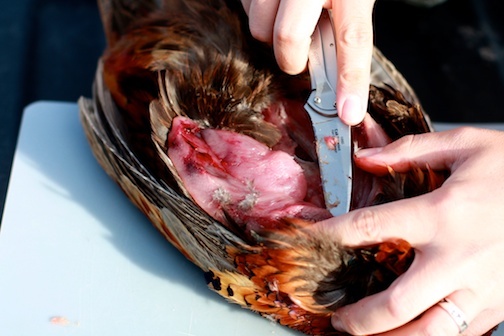 Essentially cutting the skin at the breast bone and exposing both breasts and cutting them out without having to pluck the bird as the feathers make it a very messy process. I think feathers are one of nature’s great beauties…so intricate, light, complex and impressive! Woody started with a hen. 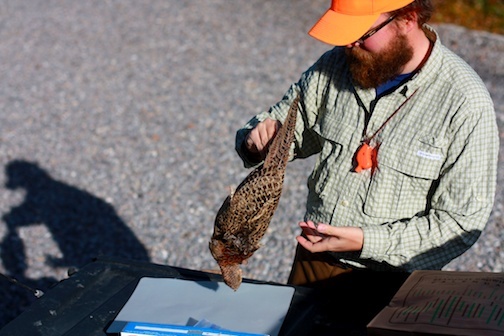 Then moved on to the rooster pheasant – much more brightly colored. 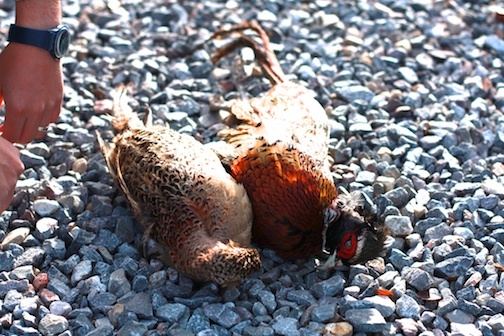 Pheasants are stunning and happen to taste delicious as well! 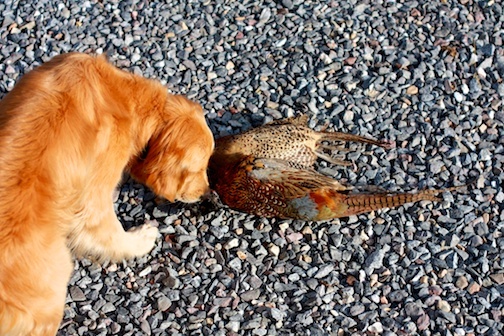 This is Pippa very interested in the bird, but not quite sure what to do with it. Now Golden Retrievers normally retrieve, but Molly, Pippa and Sam have not had opportunities to do so other than with their balls and toys…and that is more for the fun of it than for any real purpose. Woody was attempting to coerce a retrieval out of at least one of the gold squadron…but it was not a show-stopping performance. All dogs got very excited at the prospect of something being thrown…and would go right to it…and then sniff and look up confused as to what was supposed to happen next. 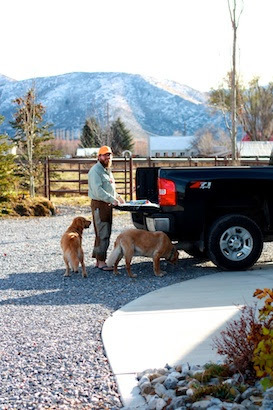 Urban retrievers…what are you going to do???…really! Fast forward a day or so…after gorging ourselves with thanksgiving dinner and playing some cranium late into the evening, the cooking begins! 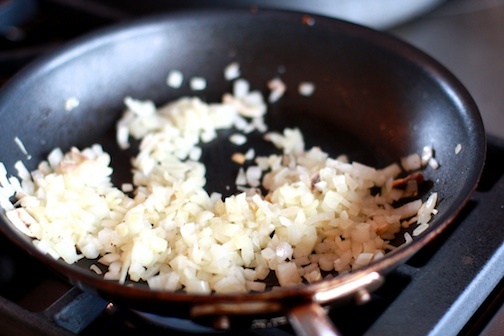 Start with sautéed onions (never a bad idea)! 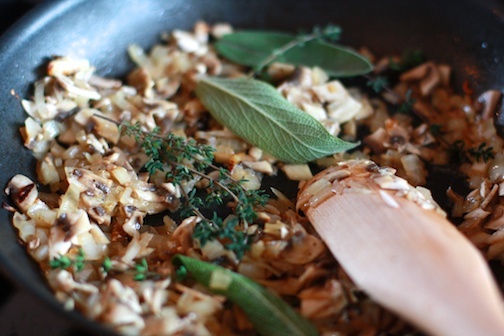 Let those soften and cook down a bit, I think I de-glazed the pan with a bit of white wine and some water, and then go ahead and add the smattering of herbs! 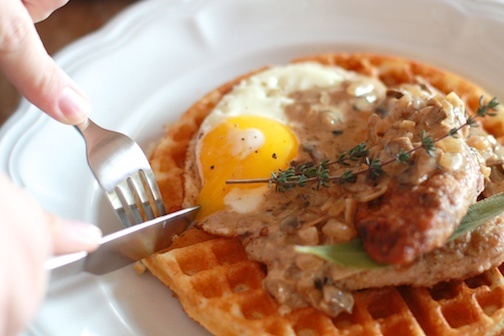 I added some heavy cream si it could be gin to thicken and reduce while the pheasant and the waffles get cooking. 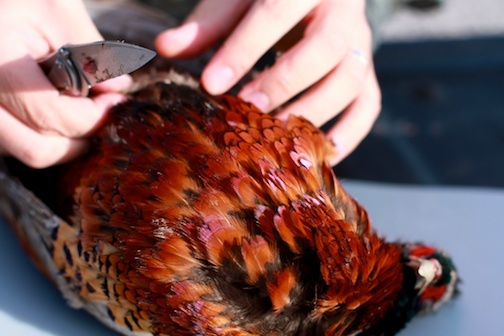 The pheasants resulted in a wonderful little nuggets with a few larger breast pieces…which were kept wrapped in wax paper in an unsealed ziplock in the fridge in between being extracted from the birds and making to the hot pan. 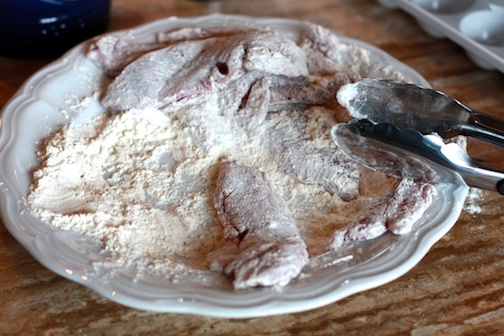 Each piece was salted and peppered and coated in seasoned flour. 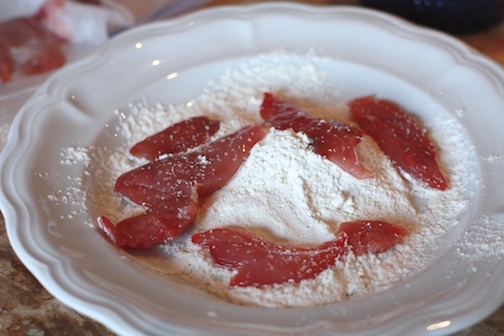 Knock off any excess flour and place in a hot pan with melted butter and a little oil to increase the smoke point. 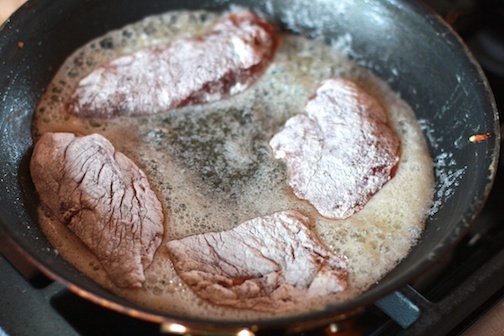 Don’t crowd the pan…it’ll cool off to quickly and the breast won’t brown properly. Continue to check on the ‘gravy’ to make sure it doesn’t thicken up too much. 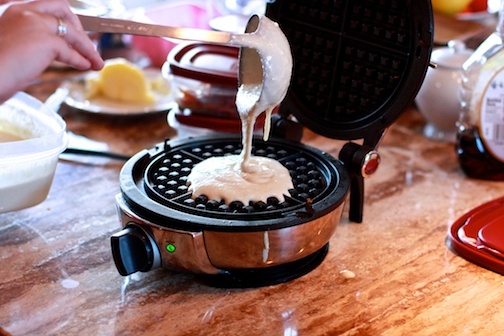 Waffles were already on the menu for the morning…and the batter was nicely balanced – not too fluffy or sweet. 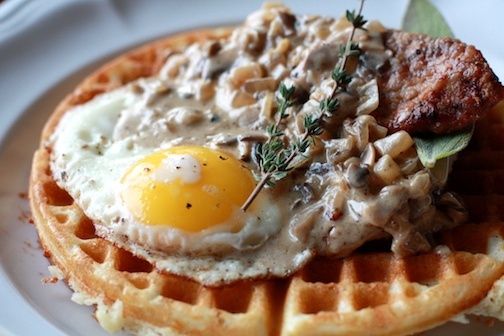 Start making waffles! Here is where the fun really begins. 1. 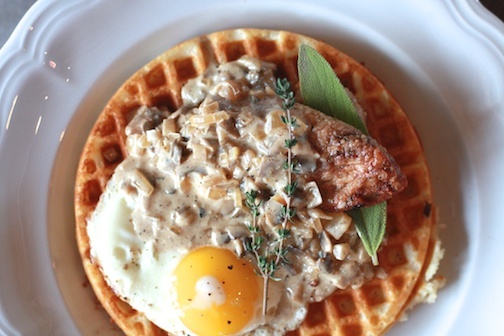 Put crispy, toasty waffle on plate. 2. 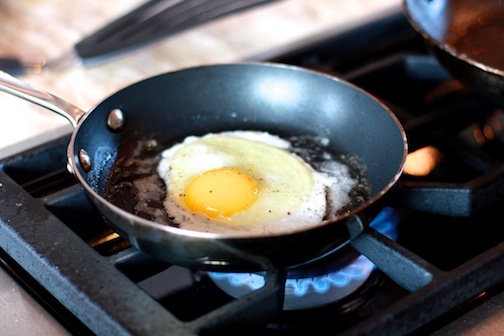 Top with fried egg (yolk still soft). 3. 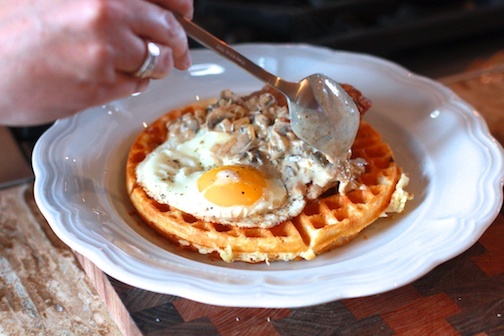 Place delicious pheasant breast on top of egg and waffle. 4. 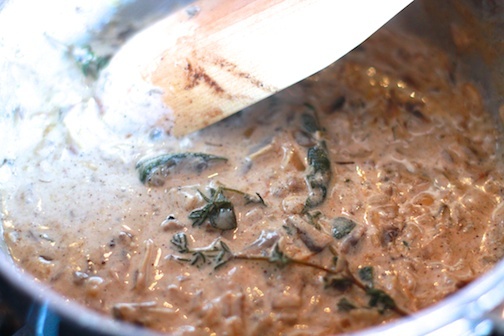 Spoon herby, onion mushroom creamy gravy over the top. 5. Top with sprigs of fresh herbs! Dear Reader. I’ve been neglecting you. 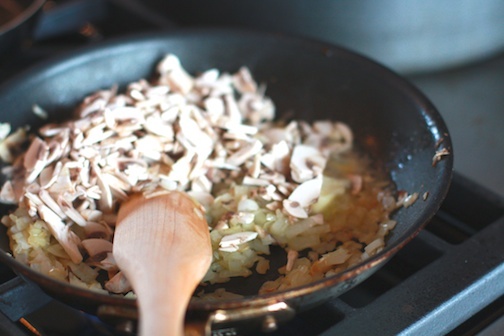 I know, I know…what could be so hard about cooking up some dishes, taking some photos and then writing about it? In theory…not much. Add in an unrelenting work schedule, a trip out-of-town, a (pathetic) attempt at getting some regular exercise and it gets more interesting. But all of those are just excuses. Yep, I just admitted it…just excuses…which is really no excuse at all. More importantly, I’ve been feeling some mental blockage when it comes to posting. I have thought long and hard about this…which has gone nowhere. Maybe you too have been thwarted in your projects and tasks. Alright, I know part of it is wanting to make sure that everything is the best it can be…but being the best and being timely don’t always play nice together. So…I’ve got to pick one and clearly lately I’ve been on team best without actually doing any work. Also…I always want to post a lot of photos…and volume + photos I love = time-consuming. Let’s loosen things up. New goals: a) post more even if it means posting fewer photos; b) stress less about the words and the photos and get the post up. Simple, right…? Let’s start now. 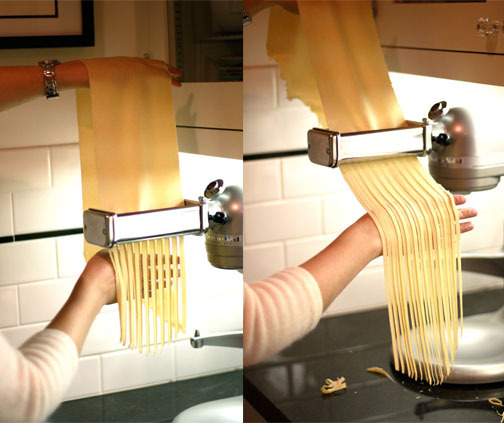 Fresh pasta is a beautiful thing. From the delicate but firm mouth feel to the slight chewiness…it just might be one of my favorite things…and when I make it I feel like I’m playing with the Play-doh noodle makers again! This pasta recipe is the same one used in this post and can be found here courtesy of Jamie Oliver. Obviously, you can cut your own fettucine with a pizza roller or pastry cutter/knife…I went with the KitchenAid attachment since I had yet to use mine! Originally I was planning on drying this pasta for use at a later date – until I realized I didn’t know very much about drying pasta and let’s not forget to mention that it is winter here in Southern California and that means rain, and dampness, and running a de-humidifier constantly in the house…so drying pasta is pretty much the opposite of what was going on in our house. Okay, moving on. We threw this dish together with leftovers and items we already had in the fridge – diced and roasted butternut squash, chunked up pheasant breast (shot by none other than Woody himself) and bacon (our house is rarely without an open package of bacon in the fridge). 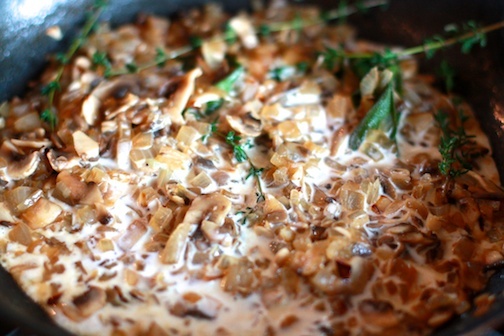 These ingredients along with some fresh herbs, heavy cream, parmesan and sliced shallots made a fine dinner!